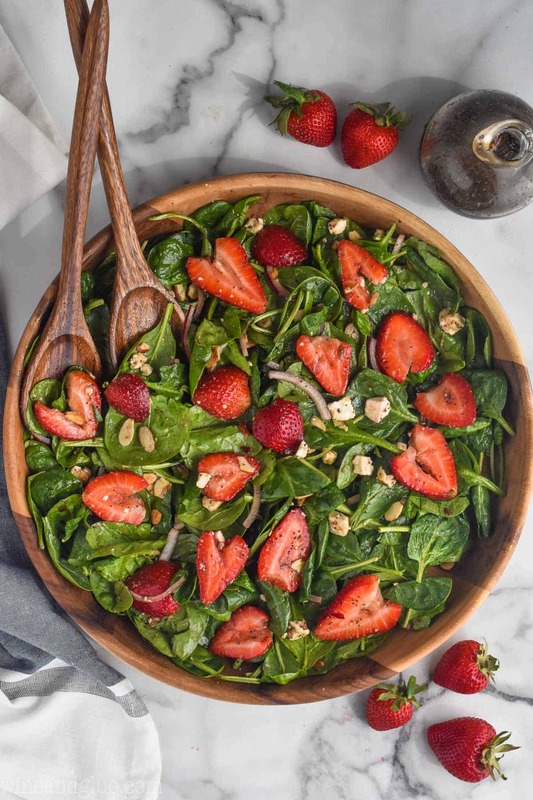 This Strawberry Spinach Salad is the perfect side dish or dish to pass for a big gathering! Beautiful ripe strawberries, sliced toasted almonds, feta cheese, and red onions all on a bed of rich green spinach and tossed with balsamic poppy seed dressing. It’s totally perfection! My baby is four today. I’m normally a cold fish and birthdays don’t phase me at all, but this one has me so sad! I mean, I love four! Just the other day I stumbled upon this post that I wrote when Elliot would have been turning four. But something about my BABY turning four . . . I won’t miss the threenager stage FOR SURE, and yet it feels like we are at the end of an era. Like once your last baby turns four, you are done with the baby stage. It’s bittersweet to say the least. One thing I love about her birthday is that it is in spring. The warm weather and the blooming flowers lessen the blow. 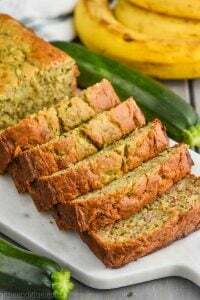 Now that we are into spring and we finally have some warm weather around here, I’ve been working on ALL the summer recipes. Things that are great to throw on the grill, like this Jambalaya Foil Packet, for a fast easy dinner. 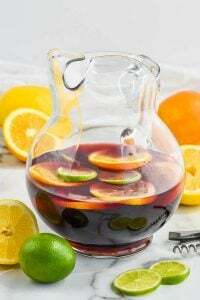 Perfect cocktails to cool off with, like ALL the sangria recipes. And big salads that you can take to family gatherings and picnics, like this Italian Pasta Salad or THIS Strawberry Spinach Salad. Then I topped it all with a homemade Poppy Seed Balsamic Dressing that took me less than 10 minutes to make. Like I mentioned, one of the reasons I love making salads, is they are so easy to make your own. It is easy to swap out one ingredient for another, but if you aren’t confident in your swapping skills, here are some ideas. Replace the feta cheese with goat cheese. Did you know you can buy crumbled goat cheese? It’s sold right by the feta, and the softness of this cheese, would go perfectly with the strawberries. 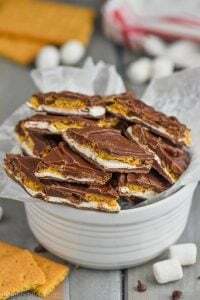 Take out the almonds and put in some candied pecans instead! Not a big fan of red onions in your salad? (The other night my 10 year old decided he loves them, ate four big pieces at once . . . and quickly decided he does not like them . . . ) Put in some sliced up avocado instead. Or in addition to! Don’t really feel like making your own salad dressing? 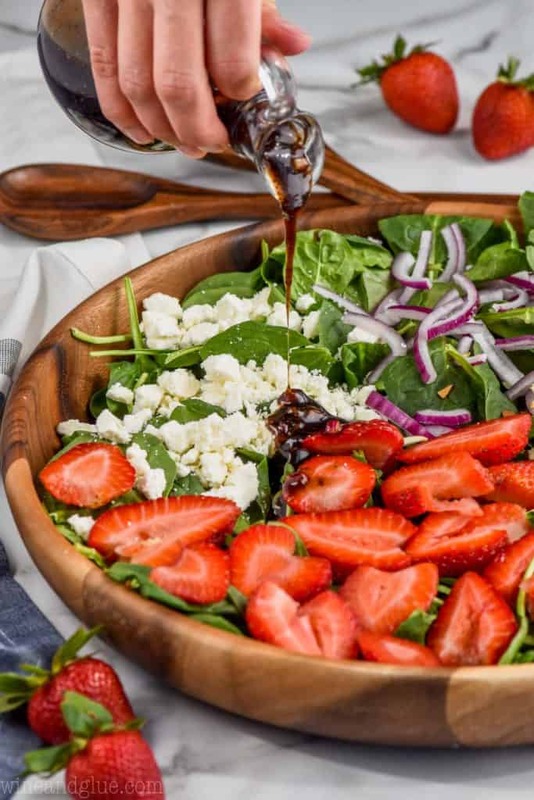 Buy some balsamic dressing! I won’t tell anyone, I swear. Feel like it needs a little something something still? 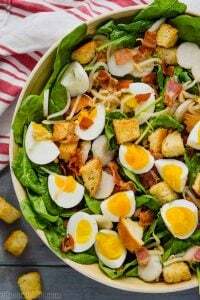 Toss in some homemade croutons! 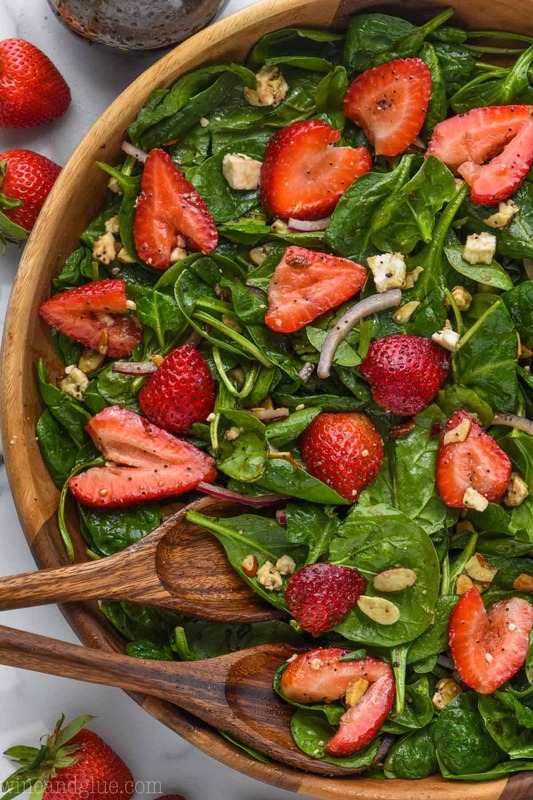 There are no wrong answers when it comes to this Strawberry Spinach Almond Salad. Except not making it. That would be the wrong answer. 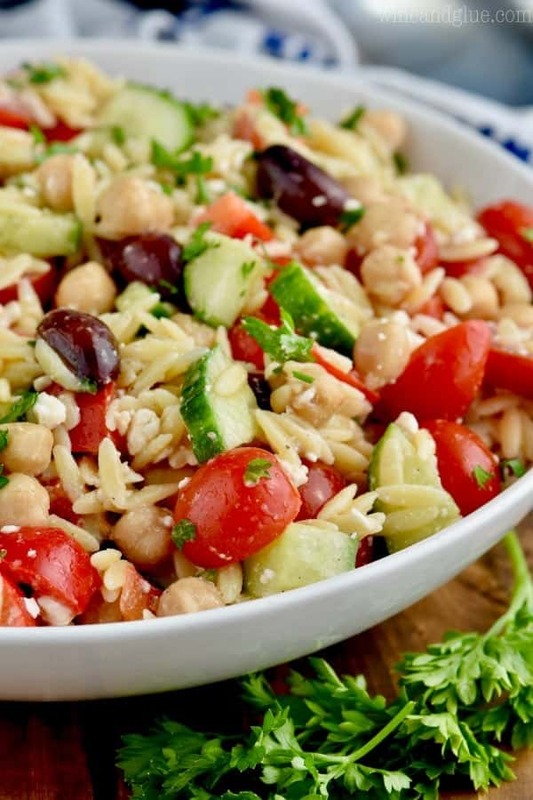 Seriously, if you feel like you don’t eat enough salads, this is a great one to start with. It has fruit! And cheese! And a sweet dressing. It’s like a gateway salad. NEED MORE GREAT PICNIC RECIPES? My Favorite Coleslaw is sure to become your favorite coleslaw too! 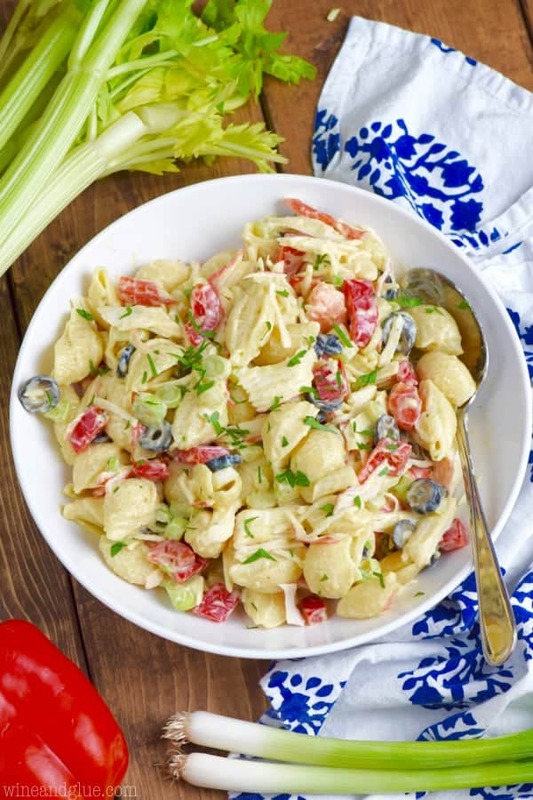 Every picnic needs a Classic Potato Salad Recipe. And an Asian Pasta Salad! This is my FAVORITE! 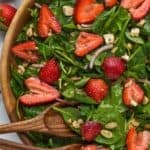 This Strawberry Spinach salad with it's balsamic poppyseed dressing is the perfect easy side dish for a picnic or BBQ, or just a weeknight meal! Combine all of the ingredients for the dressing in a mason jar. Shake well until the sugar is dissolved and the dressing is combined. 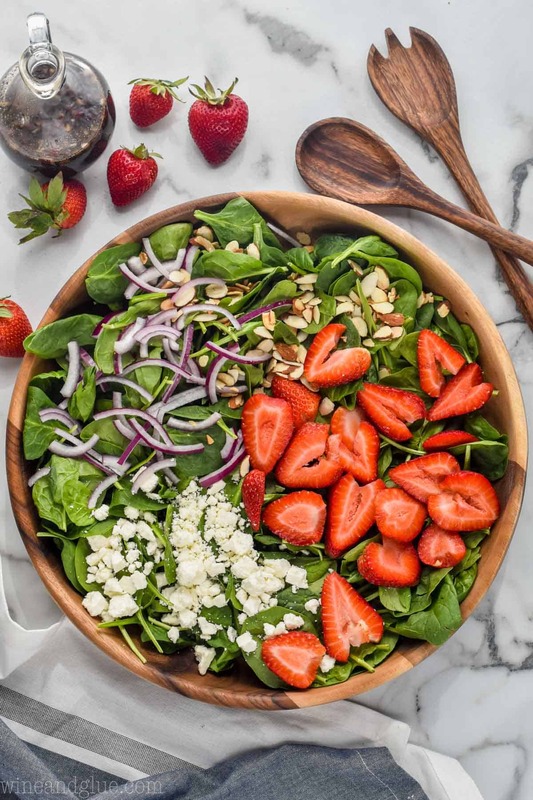 Combine all the ingredients for the salad in a large bowl. Very lightly dress the salad right before serving, reserving the rest of the dressing on the side for people to add more. To toast almonds place a small skillet over low heat. Spray lightly with cooking spray. Add almond slices and stir often until desired level of toasted-ness, about five minutes. Cool before adding to the salad. Ohmygosh. This salad has my name all over it. 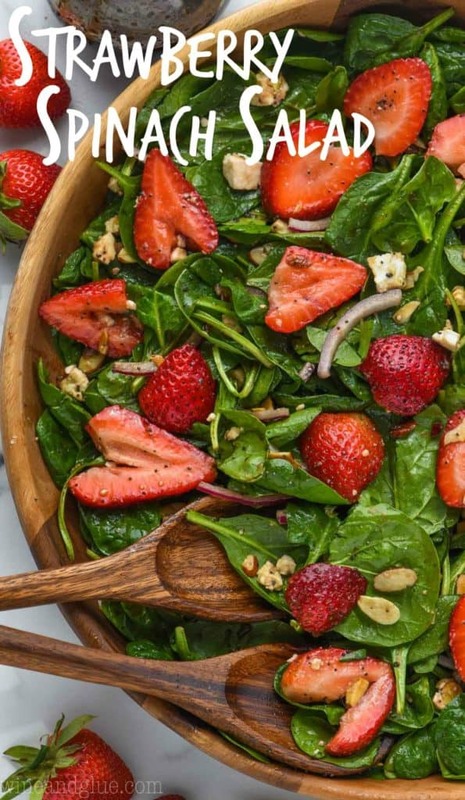 I love the combination of textures with the strawberries, baby spinach, and onions. And the dressing? Pure heaven. I would lik ea giant bowl of this for my lunch right now. My nephew just discovered Popeye and is now bugging me to prepare some spinach. 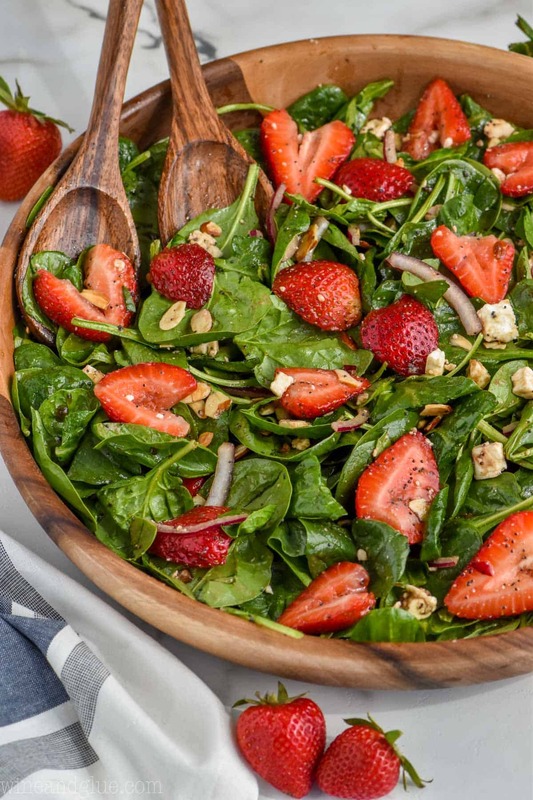 Since he loves strawberries, I believe this recipe would be perfect. Thank you for sharing it. Oooohhh. 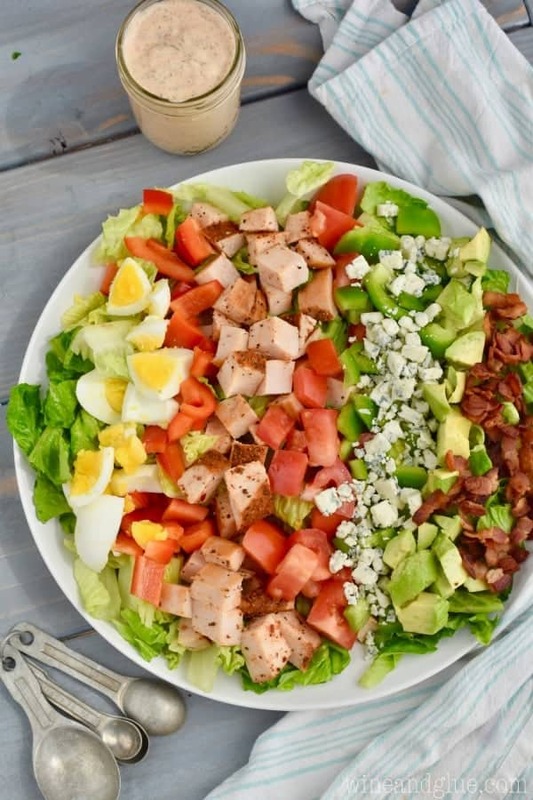 All of these salads look great! This is my favorite salad! And I love that it’s so quick and easy to throw together, great for a last-minute picnic side dish. Couldn’t help but notice that the feta is not on the ingredient list though…I just added a whole 4 oz. container. Delicious!